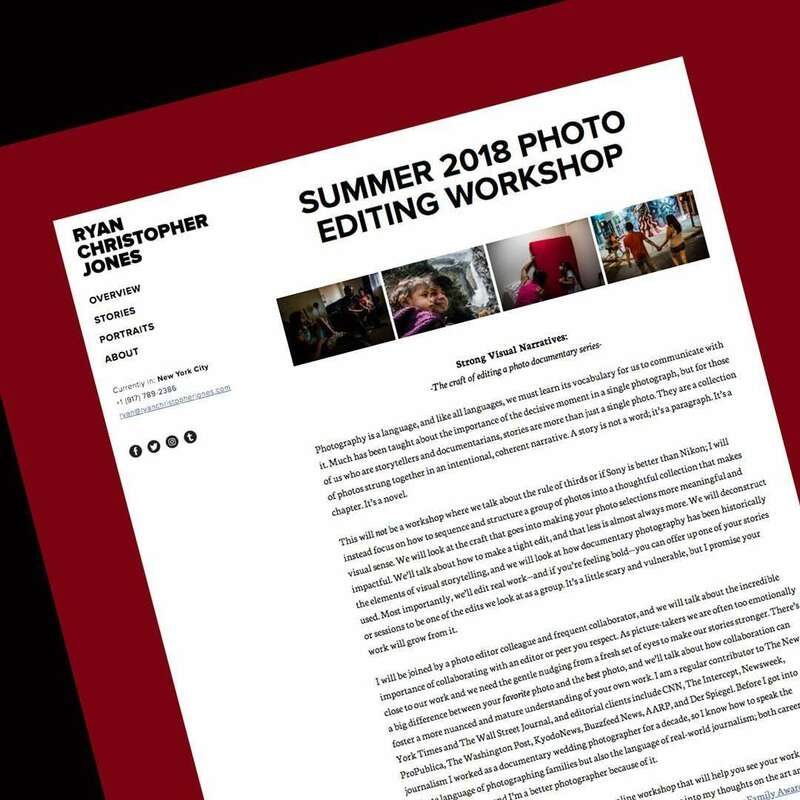 Photographer and former DFA judge Ryan Christopher Jones has just announced he will be hosting a workshop focused on the craft of editing a photo documentary series. This is a rare opportunity to learn directly from Ryan and a great chance for anyone looking to improve their editing*** skills. ***Note: The word “edit” means the process in which photographers select and sequence their photos; not to be confused with the term “toning” in relation to Lightroom or Photoshop processing.